Whale Season is a literary murder mystery in the tradition of Tom Robbins, about the quintessentially weird heart of Florida where sunburn is the only thing you can be sure of. Set in Whale Harbor, a town that has no whales, it is the story of Leon Pettit, an RV Salesman who once loved a one-ton alligator, but has a lot of trouble with non lizard-like women. One Christmas Eve, Leon is visited by a man who thinks he’s Jesus and claims to be looking for a game of poker. But, as usual, things are not quite what they seem. 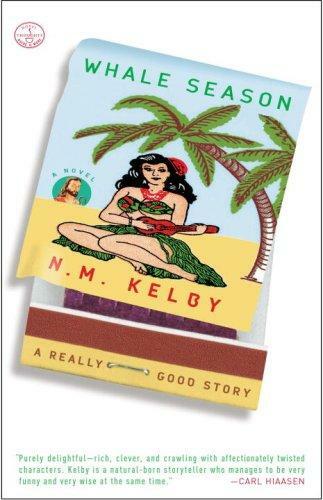 N. M. Kelby spent twenty years as a print and television journalist before she began writing novels. She lives in Sarasota, Florida.